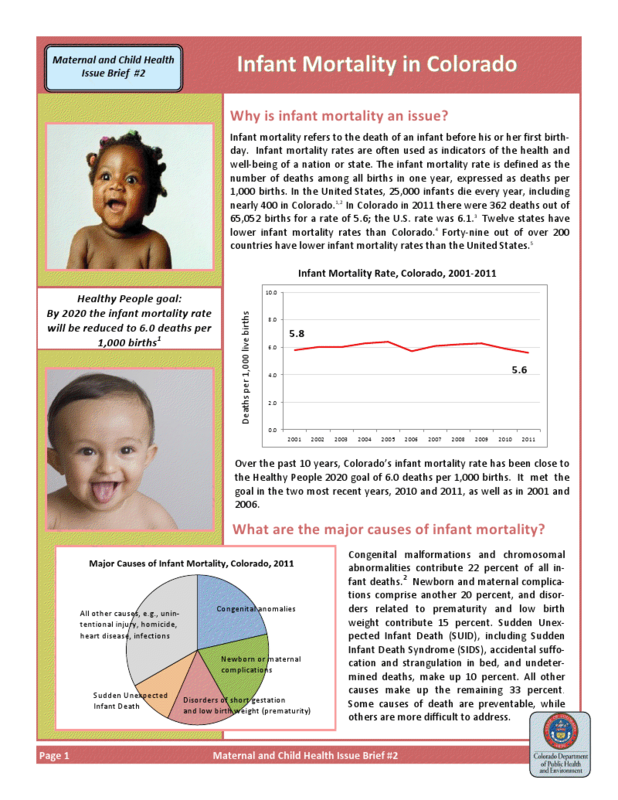 The Colorado Department of Public Health Epidemiology, Planning, and Evaluation Branch and Maternal and Child Health Program staff are preparing a series of MCH Epidemiologic Issue Briefs that provide a four-page summary of current state data related to the MCH priorities and other emerging MCH issues. These briefs include background information, current data and related trends. 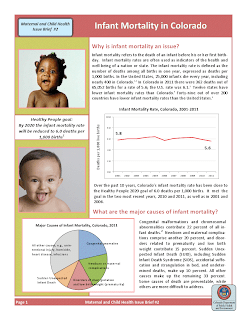 Today, MCH and EPE release the Infant Mortality Issues Brief. Look for a future brief on obesity across the MCH life course. The Colorado Maternal and Child Health (MCH) Program is responsible for monitoring data related to the MCH population and completing a state-level needs assessment once every five years submitted with the annual Colorado Title V MCH Block Grant Report and Application.